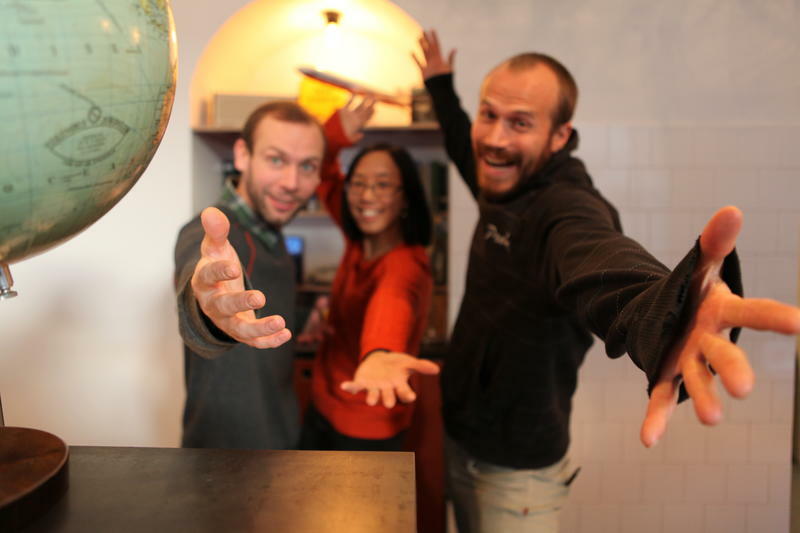 We're the â„–1 choice for travellers visiting Stockholm - voted the best hostel in Sweden 2012 by Hostelworld guests. We've got free high-speed internet on our computers (Mac and PC) and free Wi-Fi in all guestrooms. There's free pasta (make your own sauce) a free evening sauna (the ultimate Scandinavian experience) a tandem bike you can borrow for two hours. We have bike rental up to 4 hours. We also have free ice skates and saucer sleighs to burrow in the winter time! You can stay in a single or twin room, or a dorm with three, four, five, six, eight, eleven or 12 beds. Female dorms are provided. 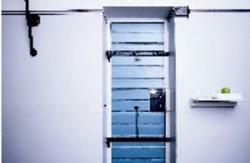 We also have three apartments/studios for up to eight people with private bathroom, shower and kitchen. City Backpackers is designed to be a great meeting place, where you are guaranteed to meet travellers from all over the world. We have several common areas where you can hang out with fellow travellers: a large, fully-equipped guest kitchen and a cosy breakfast cafÃ©, where we also teach how to make traditional Swedish Meatballs once a week. Our staff takes turns showing Stockholm to our guests. All year we arrange tours and adventures, such as guided bike rides in the summer and our awesome Viking Sauna Tour in winter. When you want to relax there's a hot sauna and lounge areas with satellite TV, daily newspapers and a book exchange available. There's also a nice courtyard with comfy sofas at your disposal. Smoking is allowed in the yard, but nowhere else. 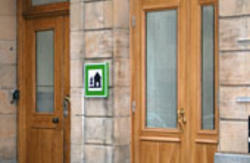 City Backpackers has an environmentally friendly approach. To avoid unnecessary laundry we encourage our guests to bring their own bed-linen, but if you would like to rent from us, it is possible. We also practice waste recycling, use electricity from renewable sources, use energy efficient whiteware and light bulbs, and have an overall environmental policy. As passionate travellers we love our planet and want to save it! Our house is a 19th Century building on the square Norra Bantorget, which you find about 400 meters from the Central Station and Cityterminalen (the main bus terminal). 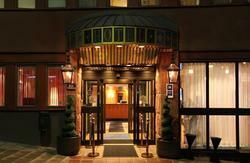 Our street, Upplandsgatan, is the extension of Vasagatan, the main street outside the Central Station. City Backpackers hostel is located in the first building on the right side of Upplandsgatan as you arrive from the Central Station. You cant miss it! When you arrive at the Central Station, take the main exit onto the street Vasagatan. Take left and follow Vasagatan about 400 meters until you reach the square Norra Bantorget. Here Vasagatan changes names to Upplandsgatan. The hostel is in the first builing on your right. On foot it takes less then ten minutes to walk from the Central Station. The buses 69 and 53 both stop at Norra Bantorget, just outside the hostel. The majority of buses stop at Cityterminalen, the main bus station, five minutes walk from City Backpackers. The closest way to the hostel is to take the back door out of the bus terminal, just where the buses drove in. Walk right on Kungsgatan, pass the casino, and then turn left on Vasagatan. From there you can see the big square Norra Bantorget, and thats where you will find us! If you walk out of the bus terminal through the main entrance, take the escalators left of the exit at the bridge Klarabergsviadukten. The stairs take you down to the street Vasagatan. Take left and follow Vasagatan to the big square Norra Bantorget, and you will see our big green flag across the square. If you arrive at the airports of Arlanda, Bromma, Skavsta or Vasteras, you take the airport shuttle to Cityterminalen. Just follow the directions given above for guests arriving by bus. From Arlanda airport you can also choose to take the high speed train, Arlanda Express, to downtown. The train is more expensive than the bus, but it gets you into the city in 20 minutes instead of 40. If you arrive from the south of Stockholm on the E4 or E20 highways you take the exit directing you to Fridhemsplan. At Fridhemsplan you turn left onto S:t Eriksgatan. After a few hundred meters you will see a sign on the right hand side saying 'Norra Bantorget'. At the sign turn right onto Fleminggatan. Follow that street until it ends and continue over the bridge onto Kungsgatan. When you come to the crossing Kungsgatan/Vasagatan you turn left and soon you will find yourself at the square Norra Bantorget. If you arrive by car from the north, follow the signs for S:t Eriksplan. At the square S:t Eriksplan you turn onto Torsgatan, and then follow that street to our square, Norra Bantorget. Parking in the street Upplandsgatan, outside the hostel, is allowed. It costs 15 SEK per hour, but is free at night (except the night after Wednesday, when parking is not allowed at all).